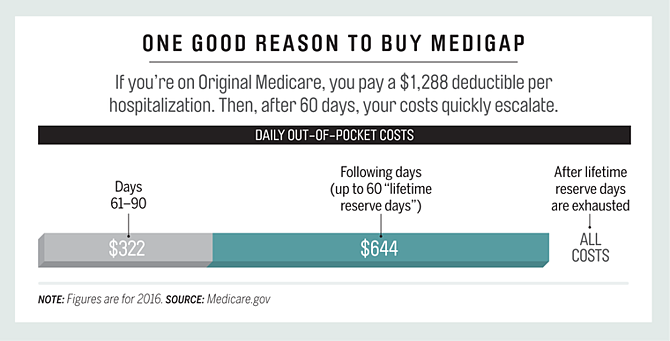 Each year, Medicare Advantage enrollees have the opportunity to change plans during an annual enrollment period. 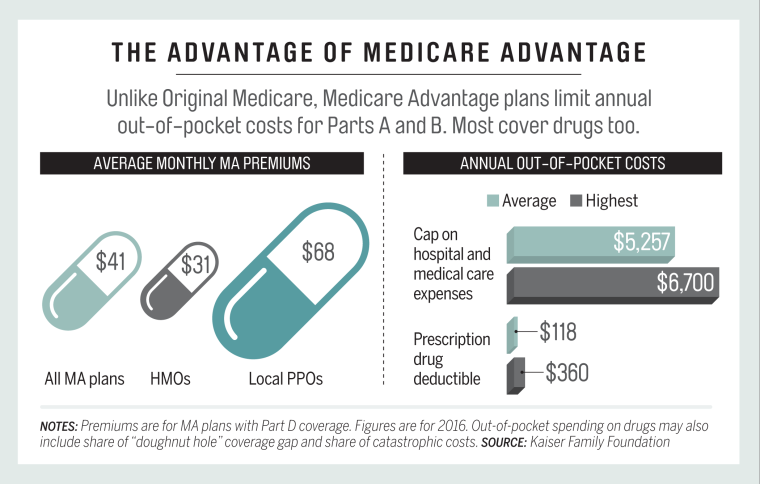 This opportunity is important because Medicare Advantage plans can make changes in their benefits, cost-sharing, provider networks, and premiums each year, and beneficiaries health needs may change from one year to the next. The open enrollment period allows enrollees to compare plans, stick with their current plan, switch to another plan, or shift to traditional Medicare. It is also the time when beneficiaries in traditional Medicare can switch to Medicare Advantage plans. Little is known about the extent to which Medicare Advantage enrollees change plans during the annual open enrollment period. 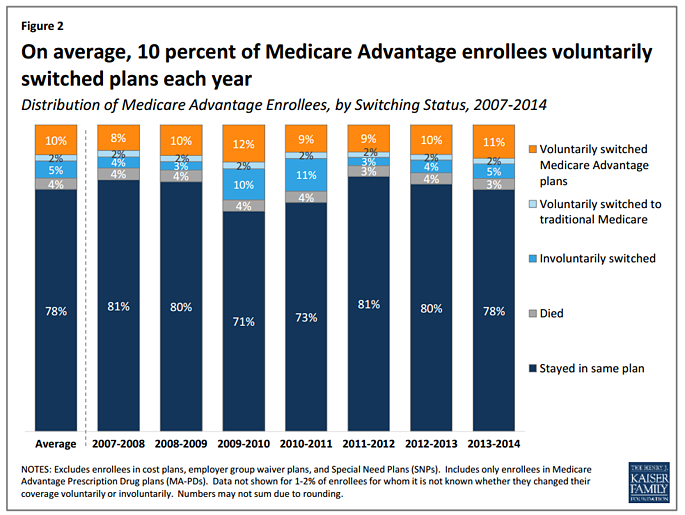 Prior research shows that roughly the same share of beneficiaries, 5 percent, shift between Medicare Advantage and traditional Medicare each year that most enrollees tend to stay in a Medicare Advantage plan once in Medicare Advantage and that switching rates from Medicare Advantage to traditional Medicare are higher among high-need, high-cost patients. 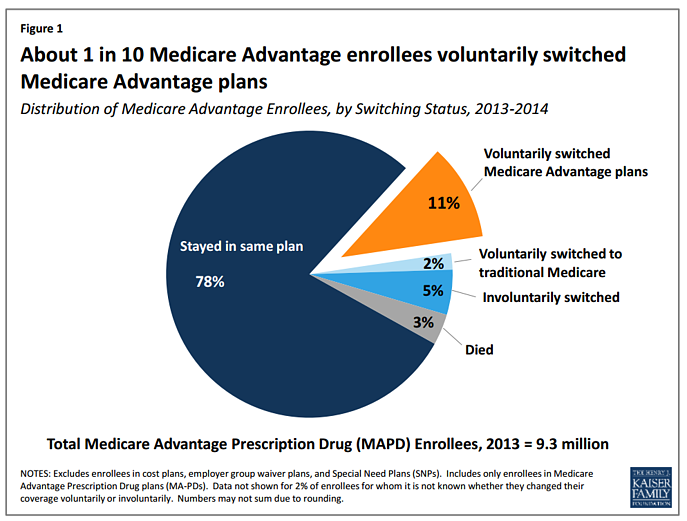 This analysis focuses on enrollees in Medicare Advantage plans with prescription drug coverage (MAPDs) who change plans when given the opportunity. 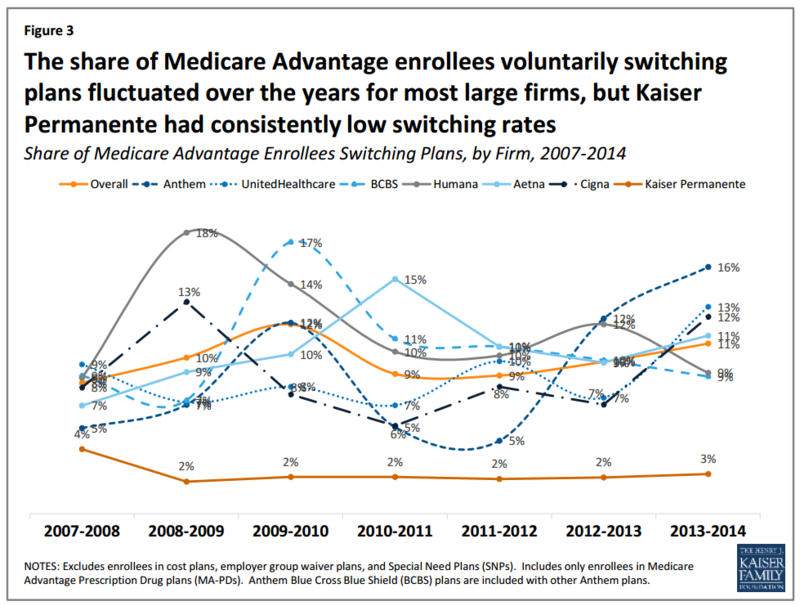 It also analyzes the variation in the rate of plan switching by enrollee and plan characteristics and whether people who voluntarily switch plans tend to move to plans with lower premiums, lower out-of-pocket limits, or higher quality ratings. The analysis is based on a five percent sample of Medicare claims data merged with plan data from 2007 to 2014. 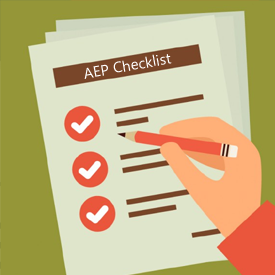 The start of Medicare’s Annual Election Period (AEP) – Oct. 15-Dec. 7 – is just over a month away, meaning agent preparations are well underway to make sure they will hit the ground running and processes will run smoothly so as to not lose valuable time. 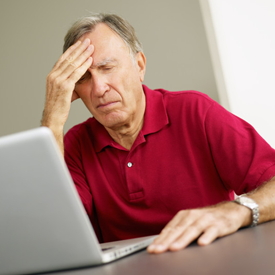 It’s a stressful, pressure-packed time of year for agents in the senior market who can’t afford mistakes that force them to take finite time away from selling to deal with issues, or not having a solid strategy in place to ensure their time is being spent efficiently. This being the case, Insurance Forums asked top executives from some of the leading IMOs/FMOs in the senior market to share some of their insight and advice about key topics to be aware of and how agents be as prepared as possible in advance of AEP. We want to give a special thanks to Craig Ritter of Ritter Insurance Marketing, Josh Vandenberg of Precision Senior Marketing, JoAnn Wray of Senior Marketing Specialists and Ryan Kimble of Agent Pipeline, Inc., for taking the time to provide their unique perspective (please see bios for all four execs at the end of this article). Here in Part I we share their responses about opportunities, potential obstacles and advice for dealing with the stress that goes along with AEP planning and execution. In Part II on Thursday, they’ll cover the value of hired help, specific ways they are helping their agents prepare for the coming rush, and what would constitute a successful AEP when Dec. 8 rolls around. Please click the below link to read the full article. Cigna Corp. has spent the past eight months attempting to resolve the major problems found in its Medicare Advantage plans, but the health insurer does not expect those issues will be rectified by the time Medicare beneficiaries participate in annual enrollment this autumn, according to a regulatory filing released Tuesday. Cigna and some financial analysts do not think the federal sanctions will hurt the company financially this year even though Cigna is prohibited from enrolling new Medicare Advantage members. Medicare's annual enrollment runs from Oct. 15 through Dec. 7. The muted financial effects likely stem from the CMS sparing Cigna from losing large sums of bonus payments. The CMS levied sanctions on Cigna this past January, which banned the company from marketing and selling its Medicare Advantage policies to new beneficiaries. Cigna, which the CMS said has had a “longstanding history of noncompliance,” had multiple problems that posed a “serious threat to the health and safety of Medicare beneficiaries,” according to the letter outlining the problems. For example, Cigna inappropriately denied medical care and prescription drugs to its Medicare members and kept members in the dark about why services were not covered. Several other health plans have faced sanctions for deficiencies in their Medicare Advantage business. SummaCare, an insurer owned by Summa Health System in Akron, Ohio, was one of the quickest plans to resolve its issues, getting its sanctions lifted within eight months. However, most Medicare plans slapped with the punishment usually need a year to fix everything. Immediate financial repercussions pop up, even though Cigna downplayed them Tuesday. For example, SummaCare's membership declined by almost 17% while it was under federal sanctions from 2014 to 2015. Previously, Medicare Advantage plans that were hit with sanctions also had their star ratings lowered. But the CMS surreptitiously rescinded that policy in March, to the immediate benefit of Cigna. Medicare Advantage has been a booming business for health insurers as more seniors and disabled people choose the managed-care version of Medicare. Even though the Affordable Care Act cut payments to Medicare Advantage insurers, the program's enrollment has exploded, giving companies access to huge sums of taxpayer-funded revenue. Cigna recorded $6.14 billion in revenue from its Medicare business in 2015. 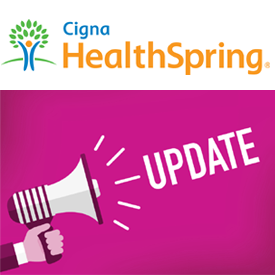 It had 533,000 Medicare Advantage members as of June 30, keeping Cigna among the six largest Medicare Advantage companies. 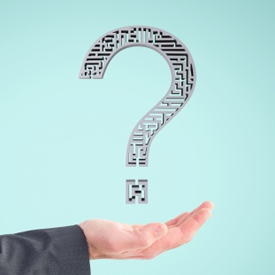 As we head into the AEP, it is always helpful to understand clients’ challenges and the importance of an agent in the decision making process. While directed towards Medicare beneficiaries, this article provides invaluable insight for insurance agents as well. MEDICARE IS “complicated and often opaque and impenetrable,” says MONEY contributor Philip Moeller, co-author of the bestseller Get What’s Yours: The Secrets to Maxing Out Your Social Security. That’s a shame, given the impact Medicare—the health insurance program covering more than 95% of Americans 65 and older—can have on your life. 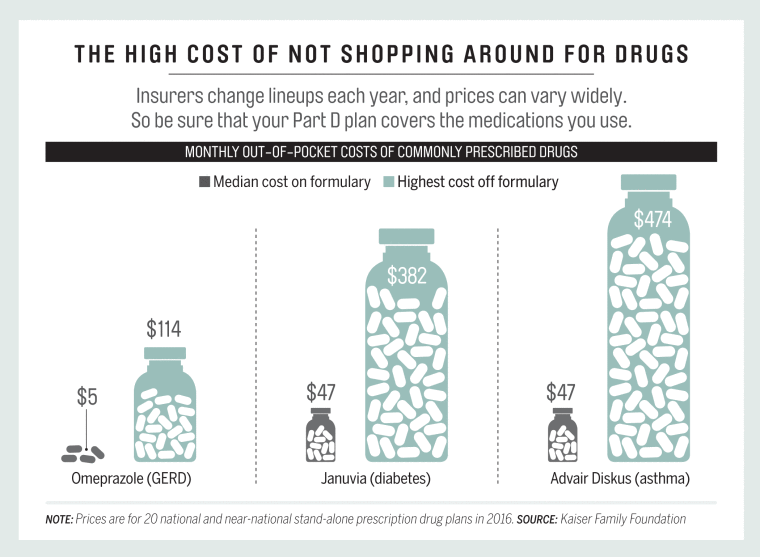 Medicare households spend 15% of their budget on health care, reports the Kaiser Family Foundation, compared with the U.S. average of 7%. The wrong coverage or a missed deadline can not only cost you thousands but also threaten your health. 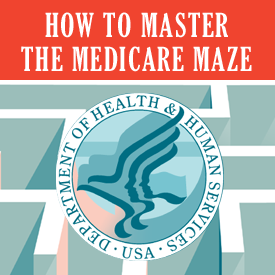 To guide you through the morass, Moeller has written Get What’s Yours for Medicare: Maximize Your Coverage, Minimize Your Costs, due out on Oct. 4. In the book, Moeller walks you through the system’s many complexities; this Time article provides key pieces of advice drawn from Moeller’s new book.